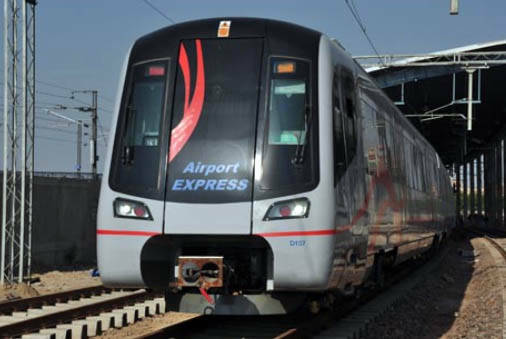 Gandhi Nagar: The Detailed Project Report (DPR) for Surat city metro rail, which was submitted to the Central government last week for approval, has proposed Rs 15,234 crore as the project cost. While 60 per cent of the cost will be loaned from Asian Infrastructure Investment Bank (AIIB), with its headquarters in Beijing, the remaining 40 per cent of the cost will be borne by the Central and state governments. The 400-odd page report was prepared by the Delhi Metro Rail Corporation. “The (Surat city metro rail) project is being constructed on the same model as that of Ahmedabad metro rail… We are expecting to begin work on this project in 2018,” said a senior official linked to the project. The phase-I of the project will have a total length of 40.35 km and 38 stations. The project will be longer and costlier than the first phase of JICA-funded Ahmedabad metro rail project, which is pegged to cost about Rs 10,700 crore. At present, MEGA Company Ltd, which is building the metro rail in Ahmedabad, is overseeing the Surat project. “MEGA is currently hand-holding the project. This will continue till a Special Purpose Vehicle (SPV) is formed for the project. A chief engineer will soon be appointed to kickstart the project,” the official said. The Surat metro project will have two corridors — 21.61 km-long corridor between Sarthana and Dream City and 18.74 km corridor between Bhesan and Saroli, which is a fully-elevated section that will cross Tapi river. The two corridors will intersect at Majura Gate.